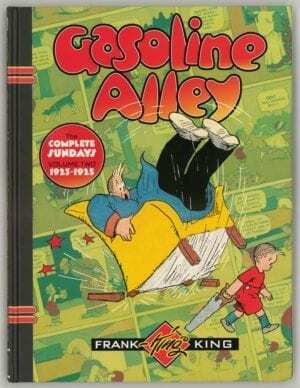 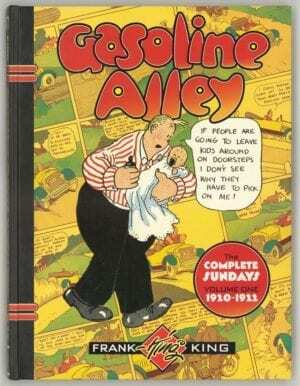 Alley Oop Sundays full color 1934-1936 Alley Oop was a great comic strip, starting in 1933, same year as KING KONG, and kids loved it because of the dinosaurs in every story. 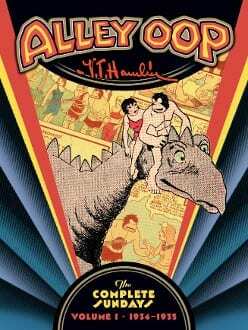 This volume prints 120 pages starting] with the very first page in 1934. 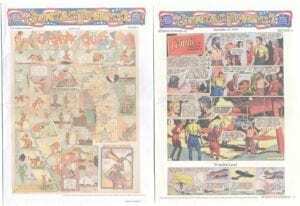 Introducing the first in a series that will collect, in chronological order, all the Sunday pages of this popular newspaper strip! 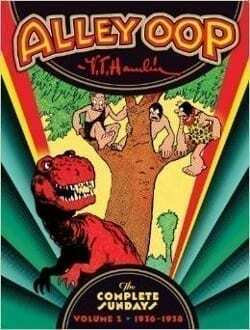 Go back in time to the prehistoric kingdom of Moo and follow the fantastic, whimsical — and often cleverly satirical — Stone Age adventures of V. T. Hamlin’s irrepressible caveman, Alley Oop!